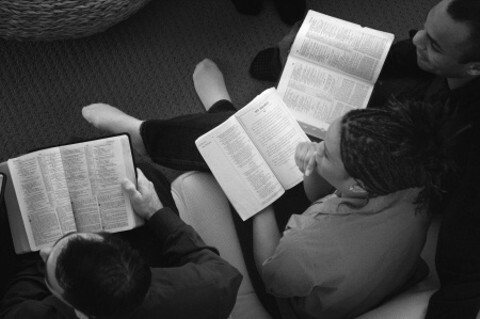 Is it possible to create your very own Bible Study? Yes, it is very possible. Here’s how to create a Bible study of your own for a group, including for church, for your neighborhood and even for your own self! We are actually commanded by God to study His Word in several places in the Bible but perhaps the most obvious place this is given is in 2 Timothy 2:15 “Do your best to present yourself to God as one approved a worker who has no need to be ashamed, rightly handling the word of truth.” Some translations say to “study to show yourself approved by God” which I actually thinks does a better job than the ESV translation does. The reason I say this is because we are told or commanded to study the Word. That is the first portion of this verse that many might miss. We are then told that we are to do this as a way of being approved by God or passing the test as a “worker who had no need to be ashamed.” How can we do this? We do this by “rightly handling (or dividing) the word of truth” (the Scriptures). To handle it rightly we should first read the entire book, next read the entire chapter, and only then the verses. Then they will make more sense because you are reading the verses in their proper context and context is critically important. Cults and false teachings can result in taking text out of its proper context. Now, how can you create your own Bible study? What are subjects that are especially important to you? What things are relevant to the church, not the culture? We cannot make a good Bible study out of something that is culturally relevant because what is most important to God should be most important to us. How it relates to us is more important than how it relates to the culture. Who cares if it’s relevant to the culture? We don’t really want a Bible study that is seeker sensitive or seeks to fill the needs of the culture. We ought to be focusing on what God wants us to do; grow in grace, in knowledge, in holiness, in sanctification, in the renewing of our minds, and in being more Christ-like. Come up with an introduction for the study and ask others to participate in the Scriptures that you intend to read. I have heard of many who invited others in their neighborhood to a Bible study in their home as a way to introduce the gospel of Jesus Christ. Some used the platform of how to help raise their children or how to have a better marriage. There is nothing wrong with these ideas but every Bible study you create and invite others to must always include the gospel message (Rom 10:9-13; Acts 4:12, 16:30-31, etc.) or it is just a study on self-improvement or how to make your life happier and that is not our purpose in life nor is it God’s goal for us. God’s desire for us is to grow in holiness, to become more like His Son, Jesus Christ, and to glorify God in everything we do, say, and think. If the Bible study fails to address these things, then it is no better than a good motivational session. God is not interested in just making us happy but having joy in a right relationship with Him and having fellowship with His Son, Jesus Christ. The first thing of course is the most important thing and that is prayer. Bathe this idea in prayer and ask the Holy Spirit to illuminate what type of study you should create. It should always seek to point people to Christ, to His holiness, to His supreme sacrifice and how we can grow in the grace and the knowledge of Jesus Christ. Specify whom your audience will be. Is this study intended for older adults, young adults, teens or children? You can also come up with a list of people that you want to invite; friends, co-workers, and neighbors for example. Come up with an introduction for the study and ask others to participate in the Scriptures that you intend to read. Ask yourself what is the purpose of this chapter and this book. Are there certain key phrases that are repeated? Any Bible verses that are repeated always point to the subjects that are very important to God. How do these verses relate to those in the audience of the study? The Bible study should always include the Word of God. After the reading, ask people what they see this verse or verses are saying to them. One of my favorite Bible studies that I created was from Romans 12. This is a chapter that is intended for the Body of Christ, the church. Romans 12 is how Christians should relate to one another while Romans 13 is about how Christians are to relate to the world they live in. Find one of your favorite sections or chapters in the Bible and choose a specific one to use. Who does this message apply to today? What is this saying about the Roman church? When is the application of these verses to be applied: today, in the past, and in the future? Where were the Christians at when this was written? What were they going through? Where do we see these principles still being applied today? Where can we incorporate these verses into our lives? Why was this necessary for Paul to write to the Roman church? Why is this still relevant today? Why did God cause this to be recorded for our sake? How can we learn from this letter to the Roman church? How can we take these verses to heart as part of the church today as well as take them personally? How is it important to us and to others? B. Who does this apply too? D. How can we make our bodies be a living sacrifice? Make a copy of this for everyone in the study and leave lines for space that allows people to write in their answers or to record what others say about the verses. Leave blank spaces at the end of each study or Bible verses that are covered so that they can make notes and fill in their own answers to these questions. Since we are to grow in the grace and knowledge of God and to study to show ourselves approved and acceptable to God we should also be studying the Bible in our own private time and not just during Bible studies. Daily Bible reading is very important if we are to grow to be more like Christ in our walk with God. Prayer is the key ingredient to any study, whether with a group or by yourself. The Holy Spirit is our Teacher and our Helper Who gives us insight into the Word of God. We cannot understand the Word of God without the Spirit of God. My prayer is that you will learn more of His Word so that you can share His Word with those who are perishing without Christ. We need to internalize His Word in our hearts so that we might always be ready to give an answer for the hope that is within us (1 Pet 3:15). Thank you so much sir for your kind words. God is so good to us and so it is a joy to study and dive into the depths of His holiness. May God richly bless your studies and for His glory sir. Good day Sir, I praise God for your site. This is will be very helpful in my ministry, reaching people and helping my officemates know more about God. Is it okay if I use your articles as my reference? On the other hand, I myself enjoy reading your articles and I learned a lot into the depths of God’s holiness. May God continue to use you and your articles for the glory of God. God Bless! Thank you Elizabeth…you are so kind. I am glad you want to use this article as a reference to help others….may God richly bless you for your encouragement. Your articles are blessings to me. I can use this in my ministry in my office. Hope you will allow me to share this. Thank you. Next post: What Does A Spiritual Mentor Do In The Life Of A Christian?